The basic idea on this was to make a cabinet look like a potted plant. 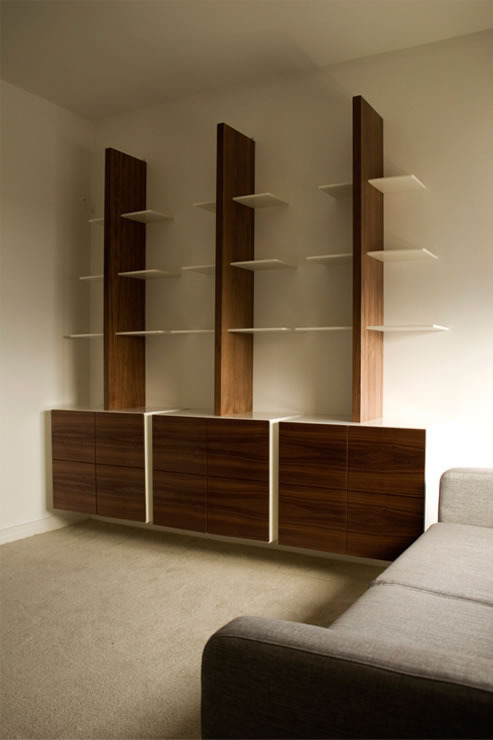 The three cabinets work well together and hung on the wall, giving a nice floating effect. 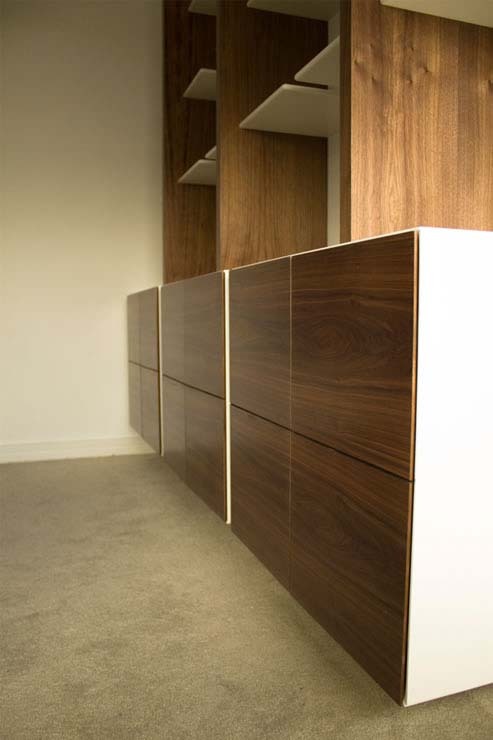 The doors are walnut and the outer box is lacquered in a hard wearing matt lacquer. Dimensions: The boxes are 900mm x 900mm x 400mm deep. 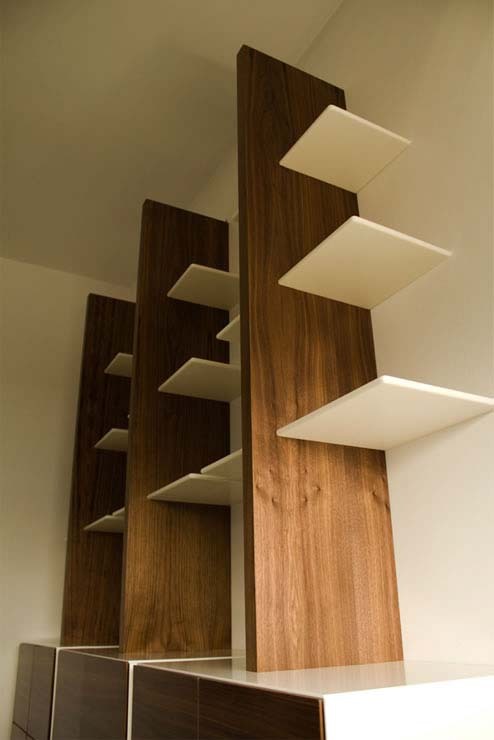 The stem of the shelf is 1200mm high.